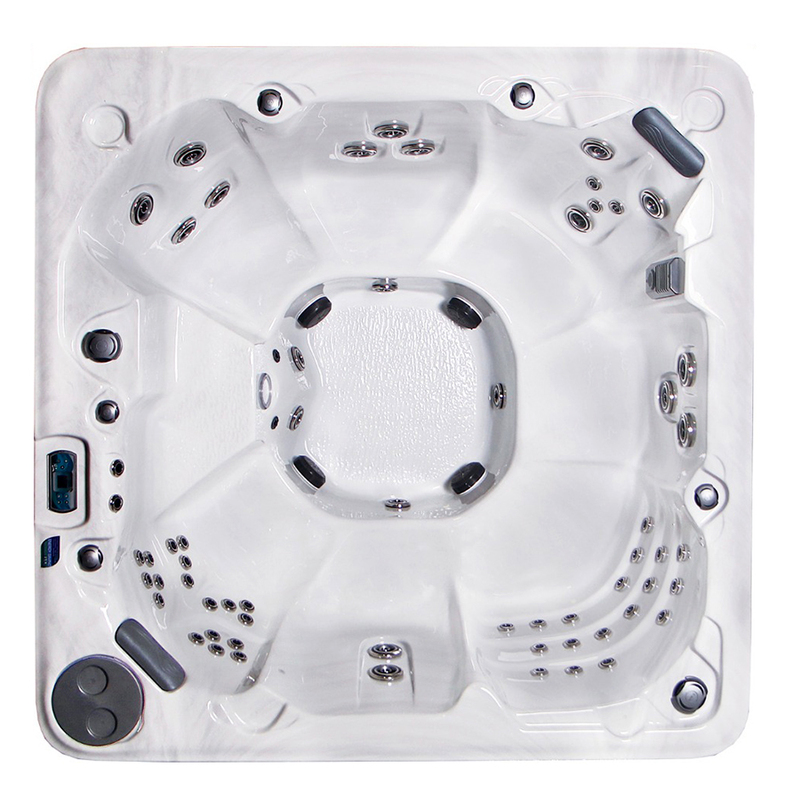 Spacious and roomy, powerful and innovative ~ these are just a few of the words which capture the true essence of the Antigua hot tub from Crown Spas. 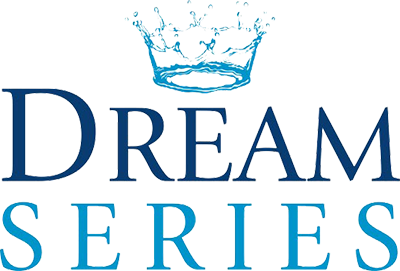 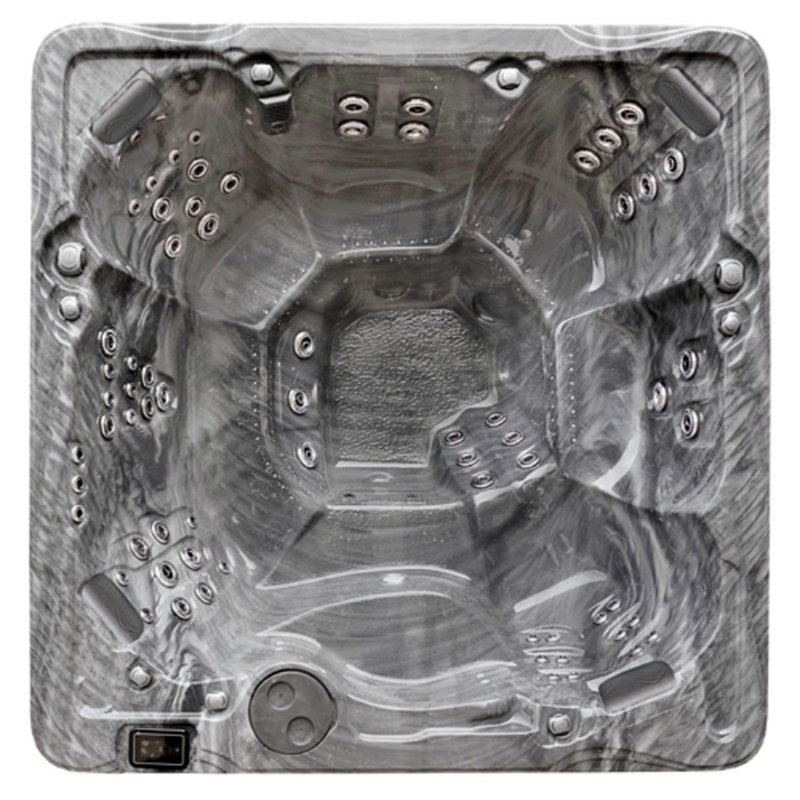 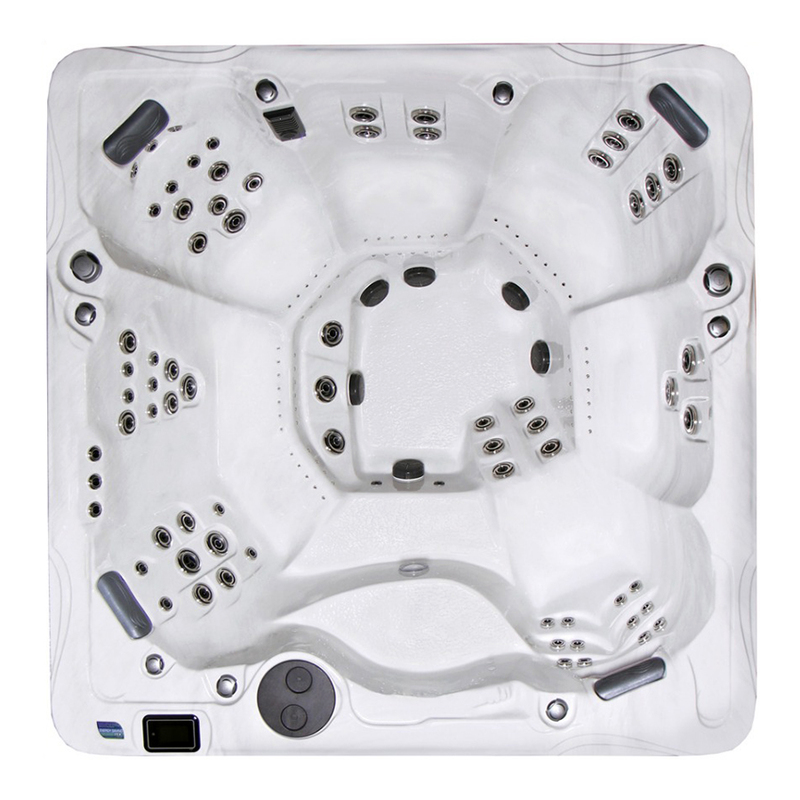 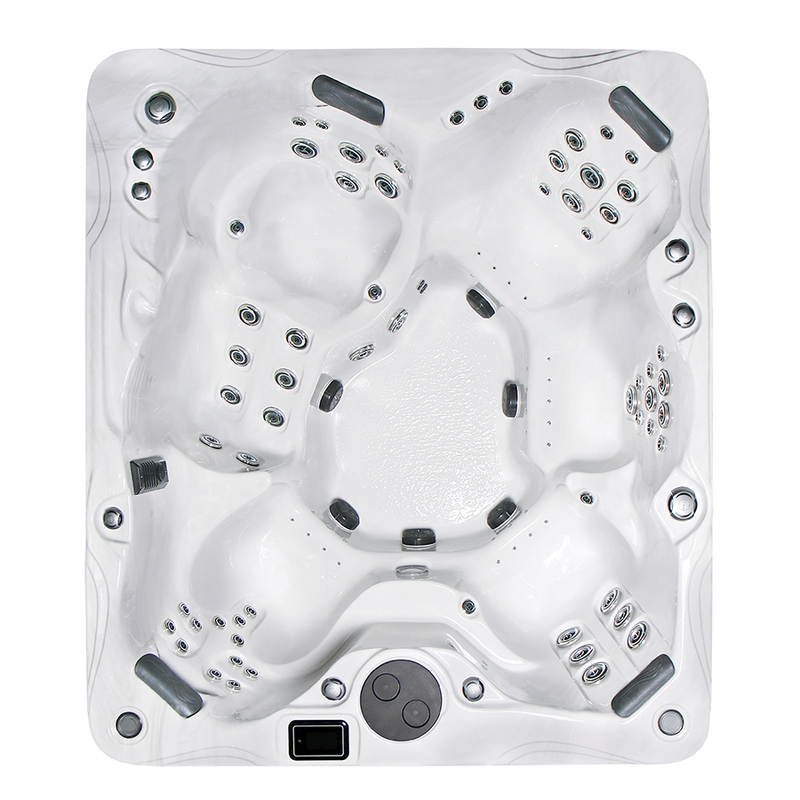 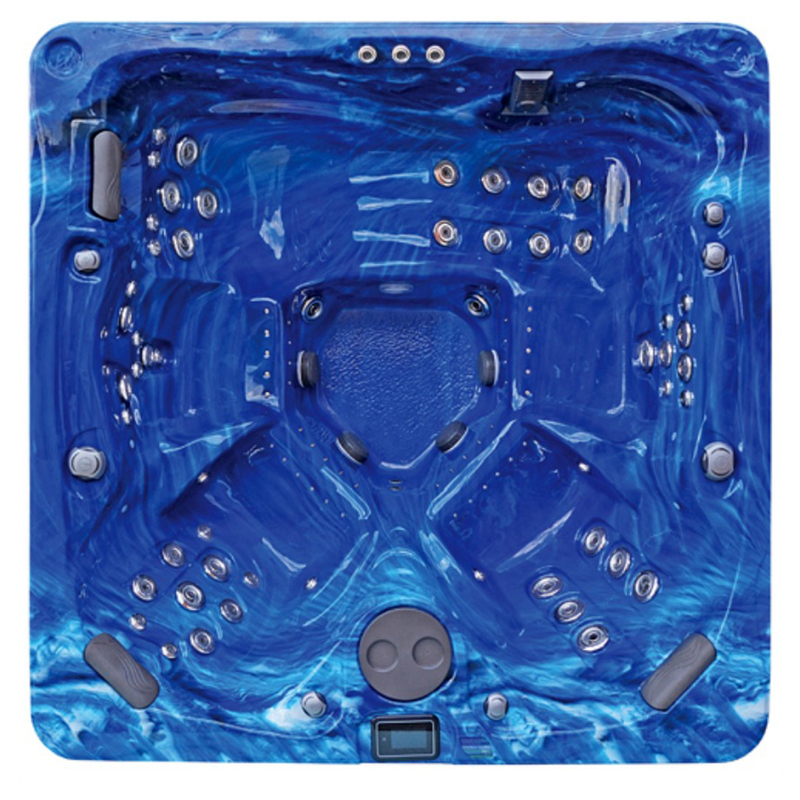 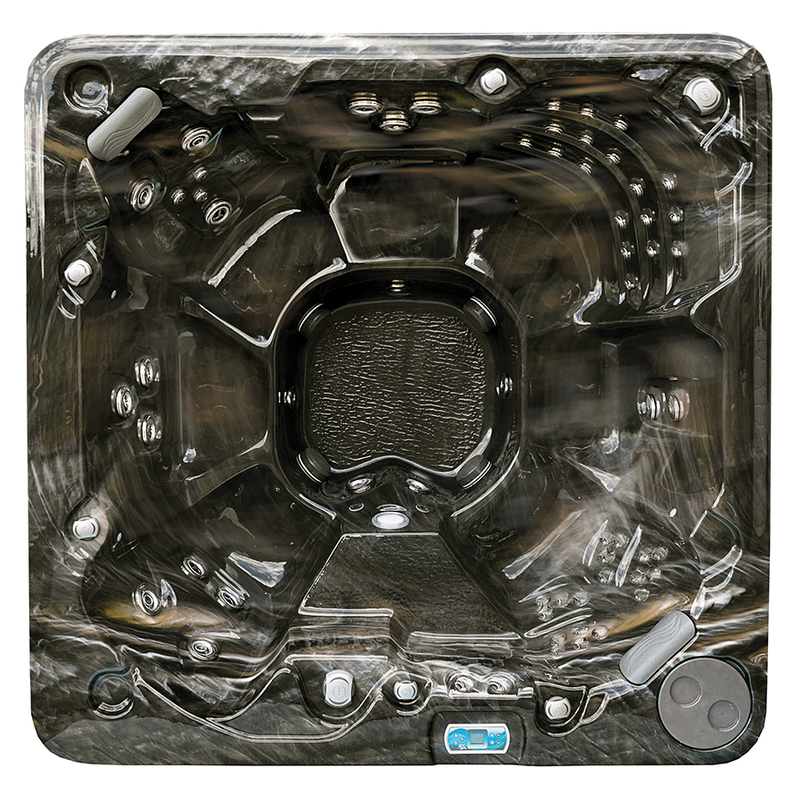 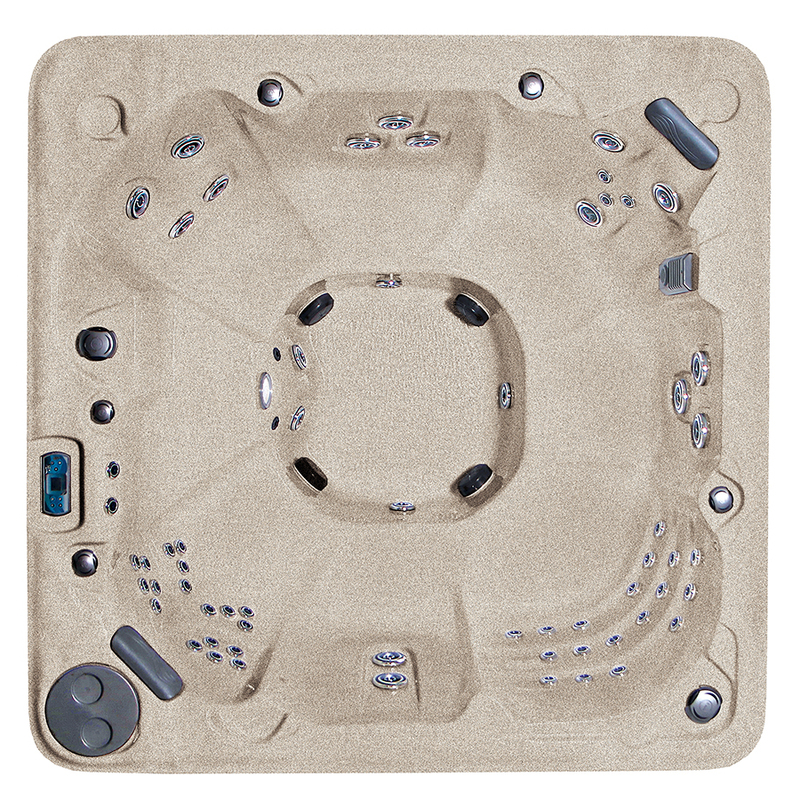 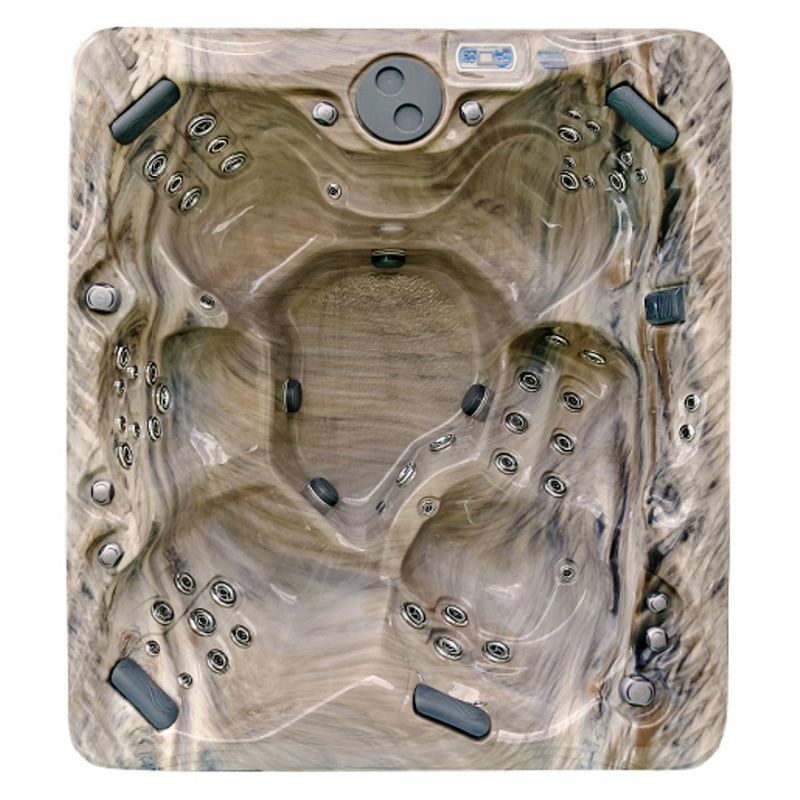 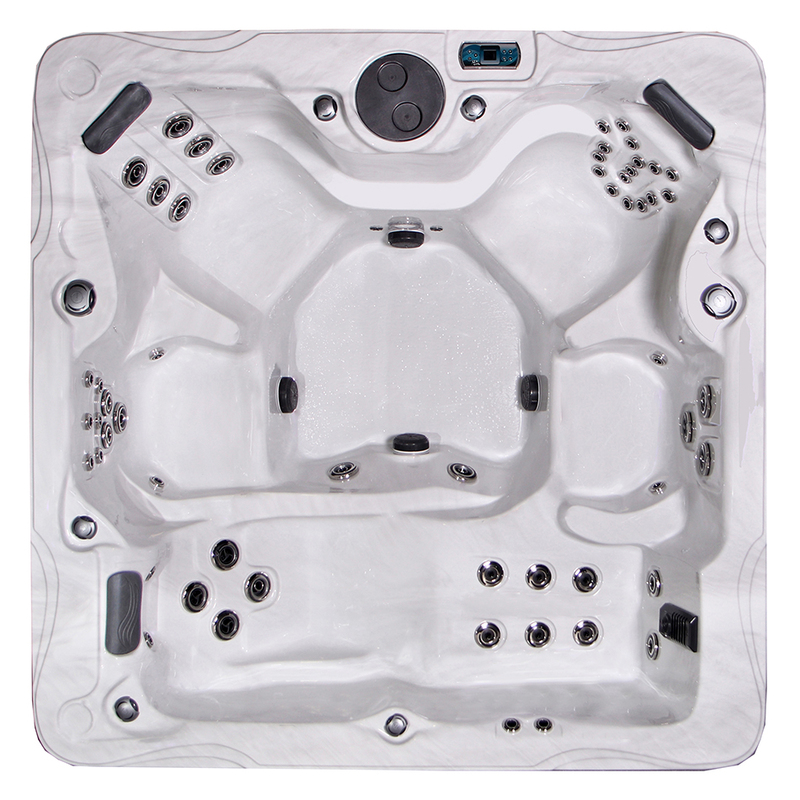 With a large, symmetrical square design that stretches just under seven feet on all four sides, and a center depth of 39″ at its deepest point, every aspect of this affordable luxury hot tub has been built around your comfort and relaxation—including a wide corner lounge and 6 contoured seats. 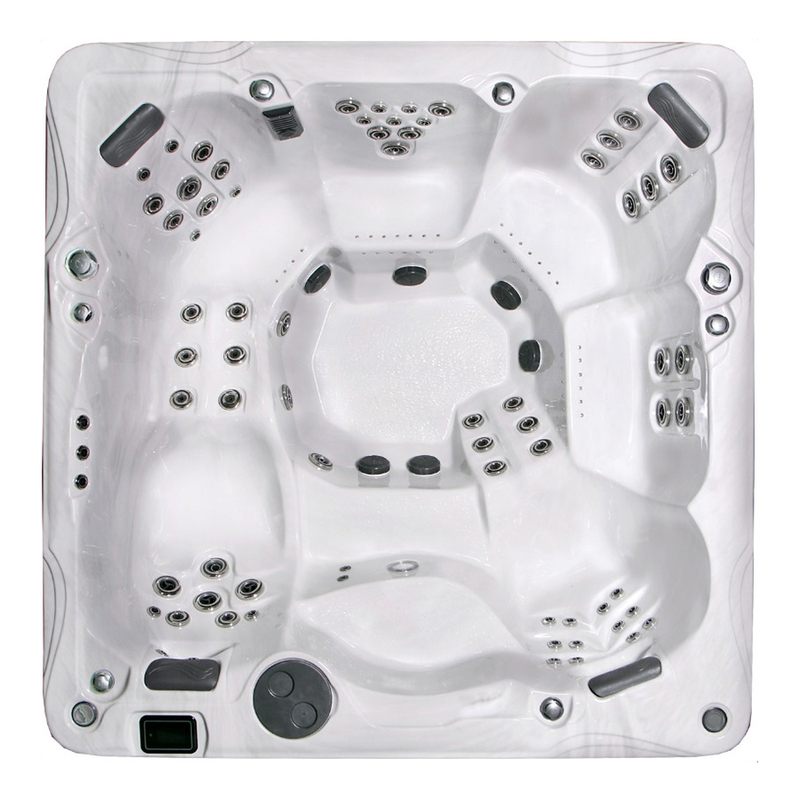 Spacious seating is just the beginning ~ The true potential of the Antigua hot tub spa is fully appreciated when immersed in its up to 61 strategically-mounted hydrotherapy jets.